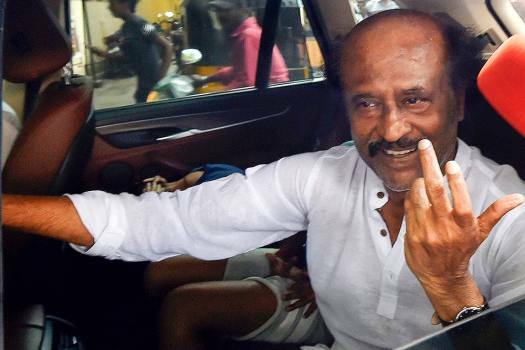 Actor-turned-politician Rajinikanth after casting vote for the second phase of the general elections, at a polling station in Chennai. 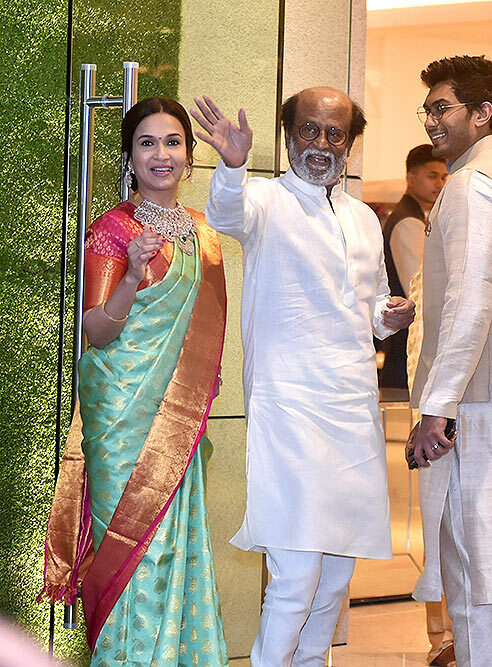 Actor Rajnikant with daughter Soundarya and her husband arrives for the wedding ceremony of Akash Ambani at Jio World Centre in Mumbai. 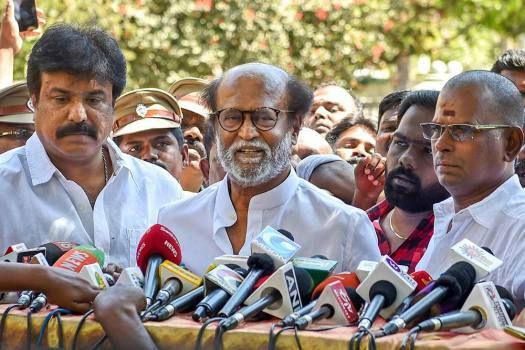 Actor-turned-politician Rajinikanth addresses the media after meeting DMDK chief Vijayakanth at his residence in Chennai. 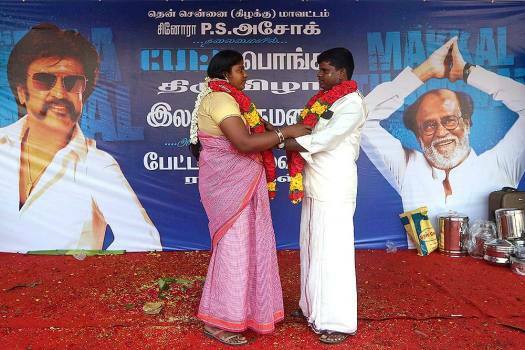 Fans of Tamil actor and politician Rajinikanth cut a mass cake on his birthday, in Chennai. 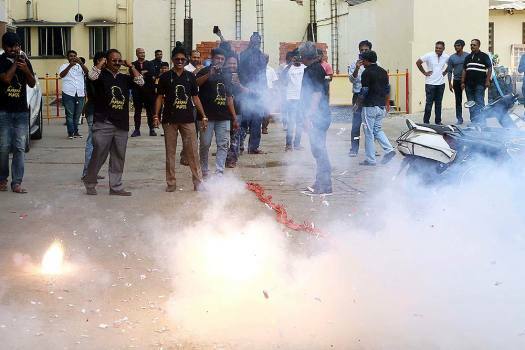 Fans sprinkle milk on a cutout of their superstar Rajinikanth to celebrate the screening 2.0 outside a cinema hall in Mumbai. 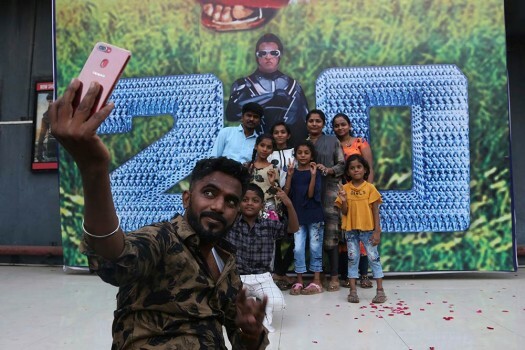 A fan of Tamil superstar Rajinikanth takes selfie with his family next to a poster before the screening of 2.0 outside a cinema hall in Mumbai. 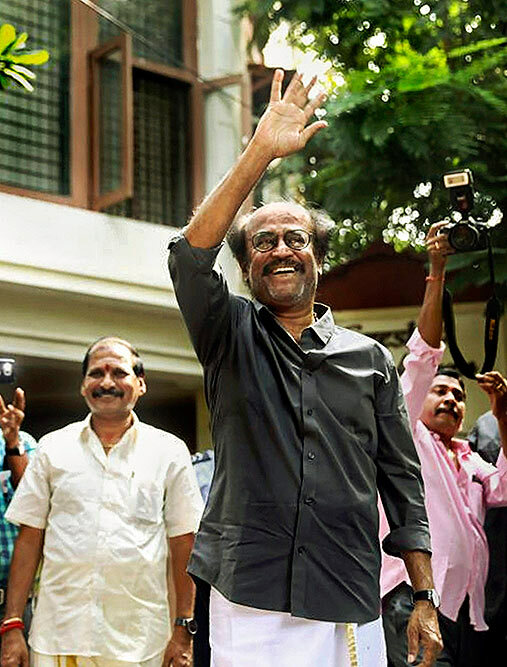 Actor-turned-politician Rajinikanth waves as he greets his fan on the eve of 'Diwali' at his residence, in Chennai. Bollywood celebrities took to social media to share slogans and sentiments of pride. 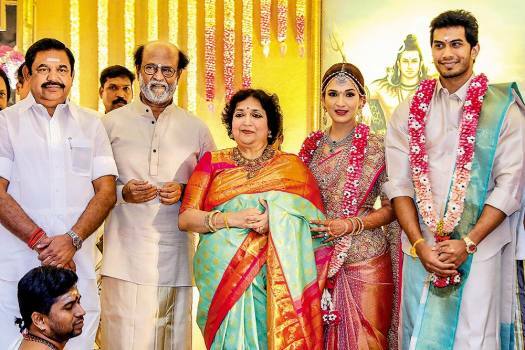 Rajnikanth, in a statement, also said that they will not be supporting any political party and urged the people to vote keeping their as well as the state's interests in mind. As Rajinikanth turns 68, the makers of his upcoming Pongal release ‘Petta’ have treated fans with the first look teaser of the film. Cyclone Gaja has wreaked havoc in nearly a dozen districts of Tamil Nadu and rescue operations are underway. @Suderbuzz God didn't say Let there be light. He just snapped his finger and said: "Ithuepdi Irukku. Ow is it? 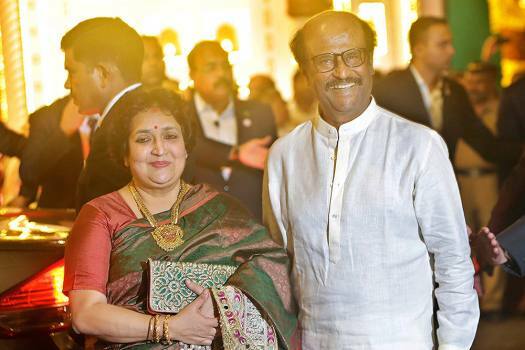 @just_reva: If #Rajini had twitter, twitter would be trending. 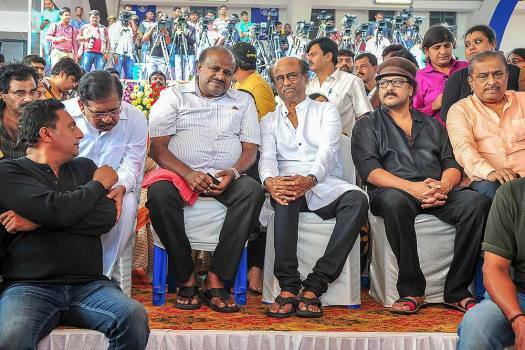 @garambhejafry: When #Rajini wants a new state, he simply stops chewing his food for a second. 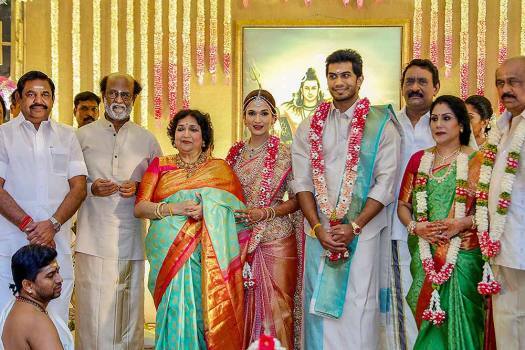 @da_pokemaster: #Rajini once hit 10 runs in 1 ball. One piece of ball he hit for four and another piece a SIX! 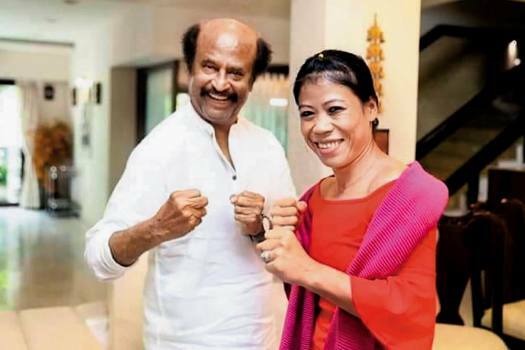 @svgan_in: #Rajini can do "bottoms up" of a hot coffee ! 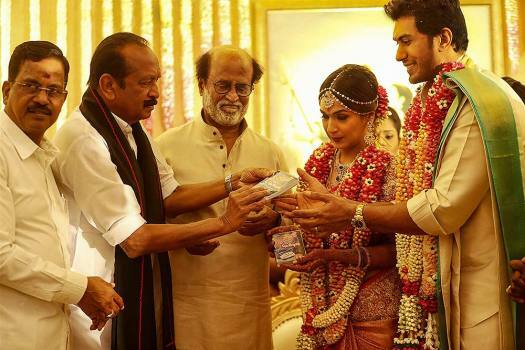 @svgan_in: #Rajini can eat unlimited unlimited meals !!! And do share your favourite Rajini dialogues, scenes, stunts, jokes. 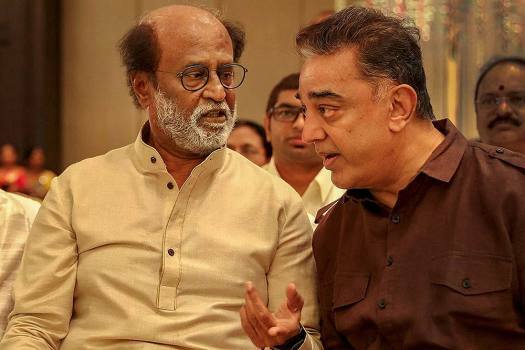 Rajinikanth, 66, said producers should ensure that all the stakeholders earn profit while distributors should avoid falling prey to marketing gimmicks before buying a movie. 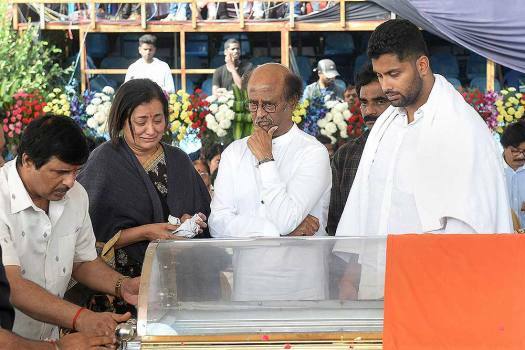 In a statement, the actor said Vaiko had spoken to him over the phone on the issue, while Thirumavalavan had made a plea through the media and Velmurugan had sent across a message through a friend. Actor Kamal Haasan and another star Surya had batted for Jallikattu a few days ago.